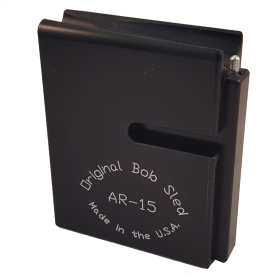 AR-15 Service Rifle Bob Sled Tall, Magazines: Creedmoor Sports Inc.
-Operates and feels like a standard 20 round magazine. 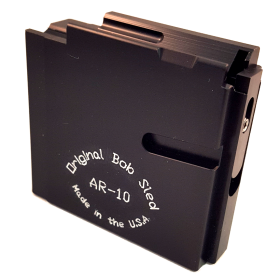 -Keeps your AR-15 straight and level while single loading a round in slow-fire. 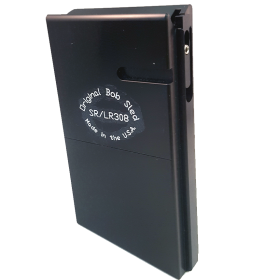 If you want to be more efficient and effective in loading for slow-fire standing and prone, this device will give you that capability. 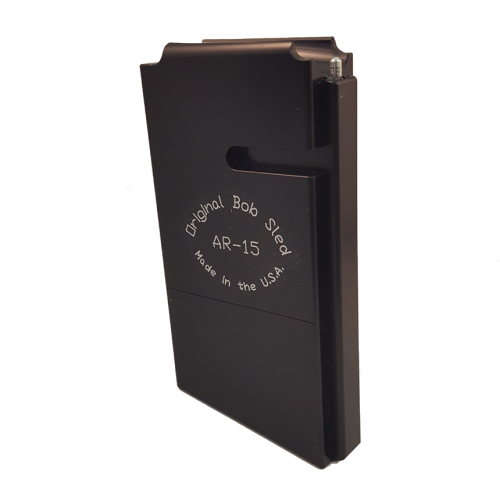 I've been using a yellow magazine insert for years and would typically get a few misfeeds, especially in slow prone where I couldn't see into the port while in position. This would damage the tip of a H'day A-Max or ELD bullet. I'd have to break position to look. Since switching to the Bob Sled, I haven't had one misfeed in four matches. No more breaking position between shots. One less distraction while shooting at 600 yards. Well worth it! I own three Bob Sleds. Just bought a new one to analyze a problem with my bolt not locking back. 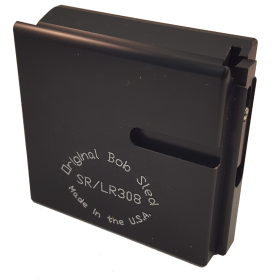 Bolt always locks back with a magazine installed but it is hit or miss with the Bob sled installed. Don't know why. Would love an explanation. Owner Response: John, Thank you for taking time to place a review. We are sending your comments to the Bobsled manufacturer to see if he can assist. We'll be in touch soon. I shoot Service Rifle and I am cross eye-dominant. I shoot left handed and with a right handed upper, I didn't have a problem seeing the round slide into the chamber. With the new CMP rule changes, I have built a left handed optic upper, and I don't know how you Righties (no political emphasis meant) could load without one of these sleds! 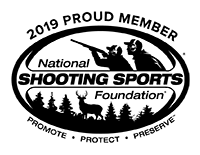 I also don't know how the improvement changed from the initial design, but this one that I received from Creedmoor Sports allows me to plop-throw-drop a round in the chamber and just slightly tip the barrel down to slide the round into the chamber. No jams, no hang ups. I love it. I got a single shot follower but this is FAR easier than needing to disassemble and reassemble a magazine.